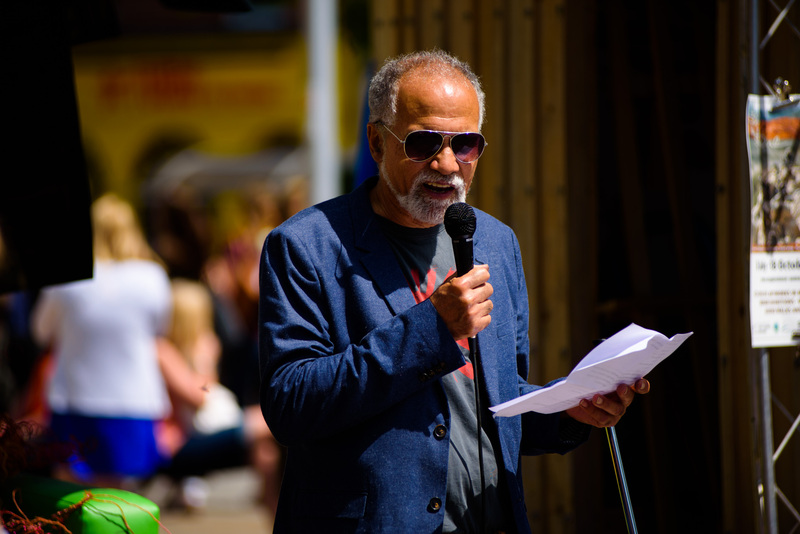 Ralph Hoyte is a Bristol-based poet, writer and artist whose practice covers poetry as a live-art, sculptural poetry, and GPS poetry-scripts. Hoyte’s live-art works are often epic and place-based, and arise out of a walking practice, as with ‘From Winscombe to Priddy Nine Barrows – a Mendip Journey’ (for the Mendips ‘Lifelines’) project; heavily research-based, as with ‘Romancing the Gibbet’, a recent collaboration with historian Steve Poole and public artist Michael Fairfax on the theatrical public executions of the 18th/early 19th century; or use GPS locative media, as with ANTICLINE, a GPS walk for the smartphone for the Step in Stone artscape. As a spatial poet, Hoyte typically works in collaboration with sculptors, visual artists and screen-based artists to realize 3D sculptures or 2D graphic works which include words, or which are made of words. Hoyte idea-initiated and then co-created the world’s first audio-play for located media in an intelligent environment, 1831 RIOT! (with Mobile Bristol and Hewlett-Packard Labs). In this highly technical area Hoyte works with Phill Phelps, coder and audio-engineer. Hoyte creates and writes poem- and wordscripts which are then uploaded to virtual GPS-located soundpools overlaid over a real land-/cityscape. When downloaded as an app, these ‘poem-‘ or ‘cultural-historical-‘ or ‘artistic-scenarios’ trigger on a smartphone only in the designated geo-location. They are ‘a portal into an alternative universe’ or ‘a virtual auditorium’, or ‘the landscape sings to you’. a poetic sound intervention: 6 self-powered megaphone assemblages suspended off the 60ft-high cliff edges of Fairy Cave Quarry beam the work into this (un)natural amphitheatre.